William P. Gottlieb, 1917-, photographer. [52nd Street, New York, N.Y., ca. July 1948] 1 negative : color ; 4 x 5 in., William P. Gottlieb Collection, Library of Congress, Washington D.C., United States. 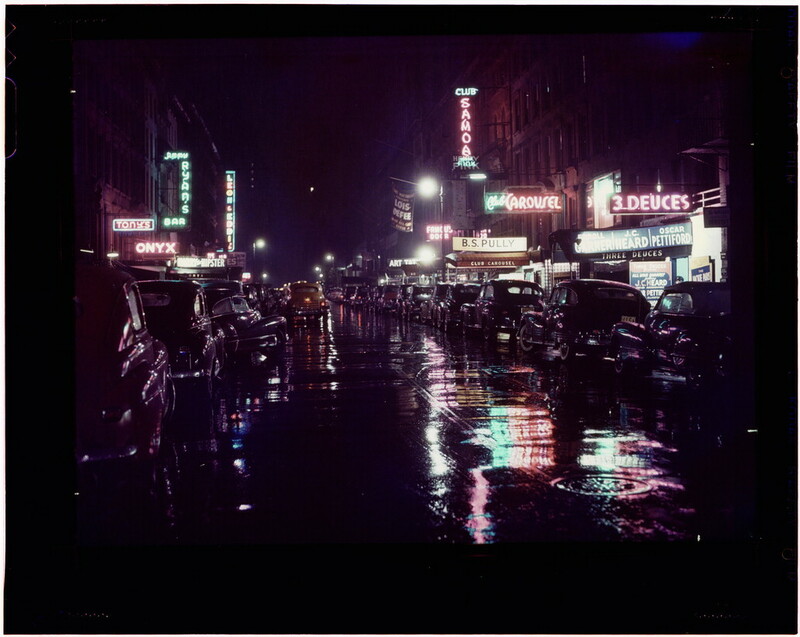 Posted in Big Picture, Photography | tagged 1940s, cars, city streets, history, New York City, nighttime, purple, rain, street, urban. The permalink.